The medium MGPTS is 18 feet wide, 36 feet long, weighs 795 pounds, and has 648 square feet of floor space. It can be setup in 36 minutes by 4 people. 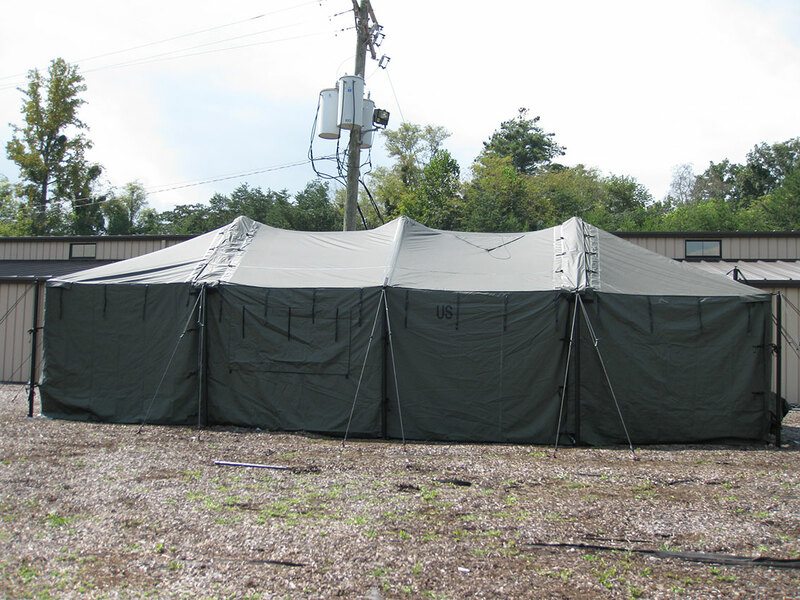 This system requires an area space being at least 52 feet long, 34 feet wide, and 12 feet high for tent setup. The medium MGPTS can be extended indefinitely by adding 18 foot intermediate sections. 102" X 37" X 42"